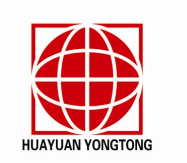 The product can be installed as general purpose building wire, used in service entrance, feeders and branch circuits applications for residential , commercial, industrial and transportation environments for permanent installations utilizing 600 volts or less. Suitable for directly buried installations or ducts and can be used in environments wher superior insulation toughness and chemical resistance is required. The product high resistance to humidity makes this cable suitable for wet location, for outdoors and for weather resistant use. 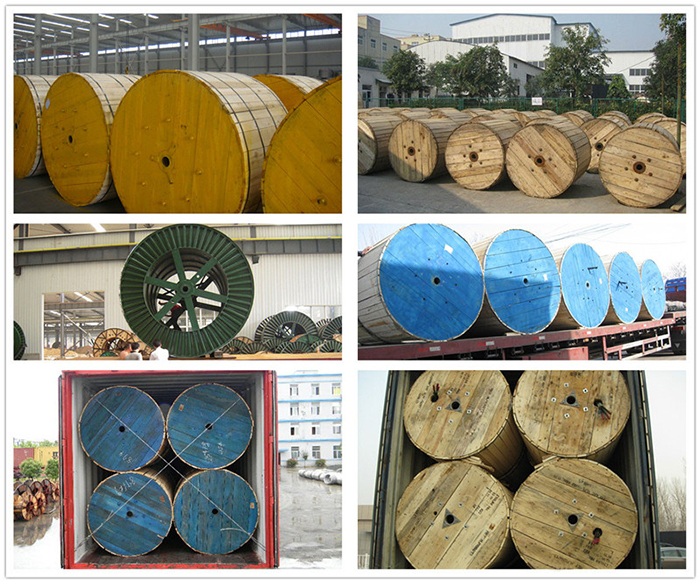 Secondary UD single conductor 600V cable meets or exceeds the following ASTM specification. · B-230 Aluminum Wire, 1350 H-19 for Electrical Purposes. · B-231 Aluminum 1350 Conductors, Concentric-Lay-Stranded. · UL 854 (for USE-2). 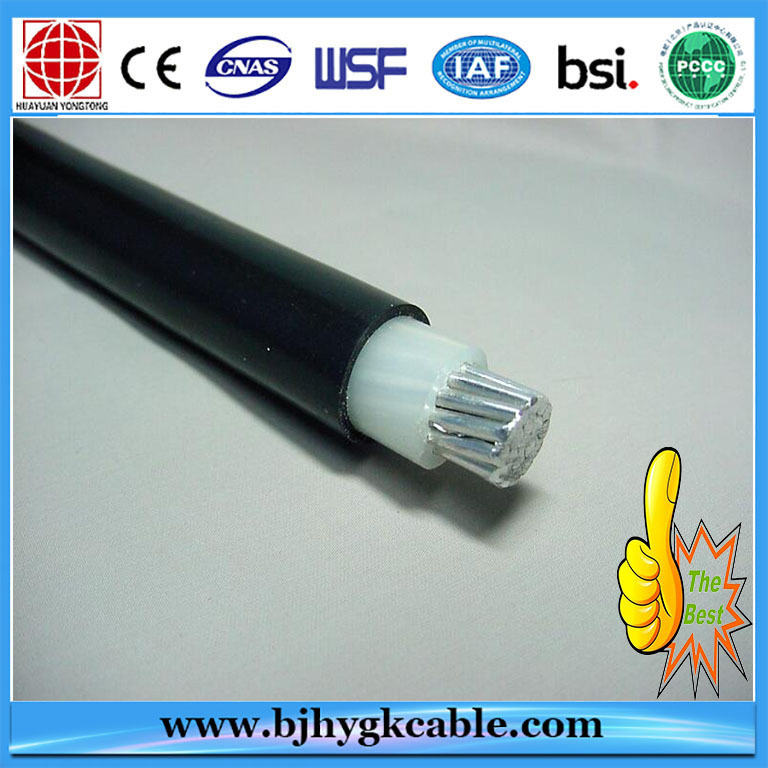 USE-2 cable can be installed in electrical metallic tubing, PVC conduits and other raceways, in free air messenger support or directly buried. 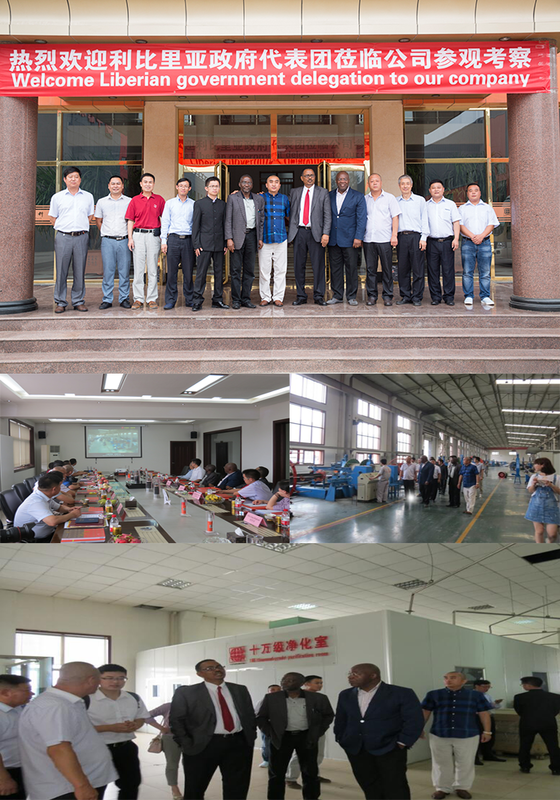 It is recommended that the installation instructions indicated by the Local Electric Code, or any equivalent, be followed, so that the safeguarding of persons and the integrity of the product will not be affected by deficiencies in the installation. Ampacity:90℃ conductor temperature, 20℃ ambient, RHO 90, 100% load factor for three conductor triplex with neutral carring only unbalanced load.Also available in paralleled construction.The above data is approximate and subject to normal manufacturing tolerances. Conductor: Stranded, compressed 1350-H19 aluminum insulated with Cross-linked Polyethylene(XLPE). Neutrals are identified with triple solid yellow stripes. One phase conductor and one neutral conductor cabled together. The 600V Secondary UD Duplex Cable is mainly used for secondary distribution and underground service either direct burial or in ducts, The cable is designed for use at 600 volts or less. · B-230 Aluminum Wire, 1350-H19 for Electrical Purposes. · B-231 Aluminum 1350 Conductors, Concentric-Lay-Stranded. Secondary UD duplex conductor 600V cable meets or exceeds all applicable requirements of ICEA S-105-692. · [ USE-2 "per UL 854 available upon request. 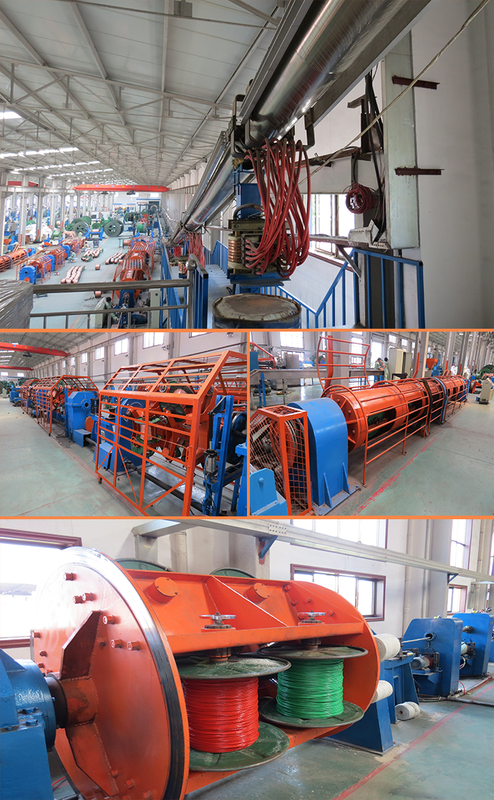 For secondary distribution and underground service either direct burial or in ducts. 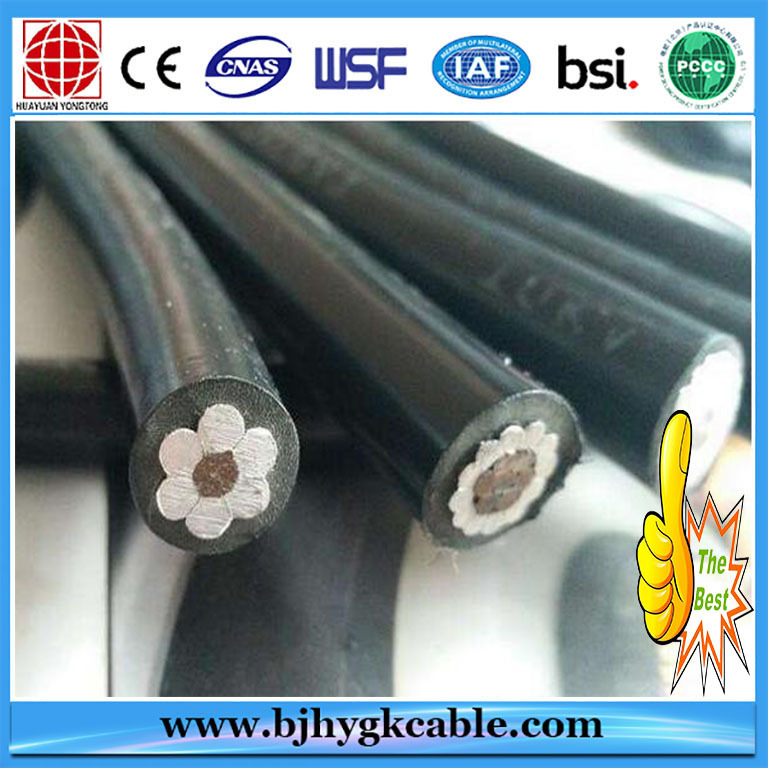 Aluminum Conductor Cross-linked Polyethylene(XLPE) Insulation, one phase with neutral.90℃ conductor temperature, 20℃ ambient, RHO 90, 100% load factor .The above data is approximate and subject to normal manufacturing tolerances. Conductor: Stranded, compressed 1350-H19 aluminum insulated with Cross-linked Polyethylene(XLPE). Neutrals are identified with triple solid yellow stripes. Tow phase conductor and one neutral conductor cabled together. 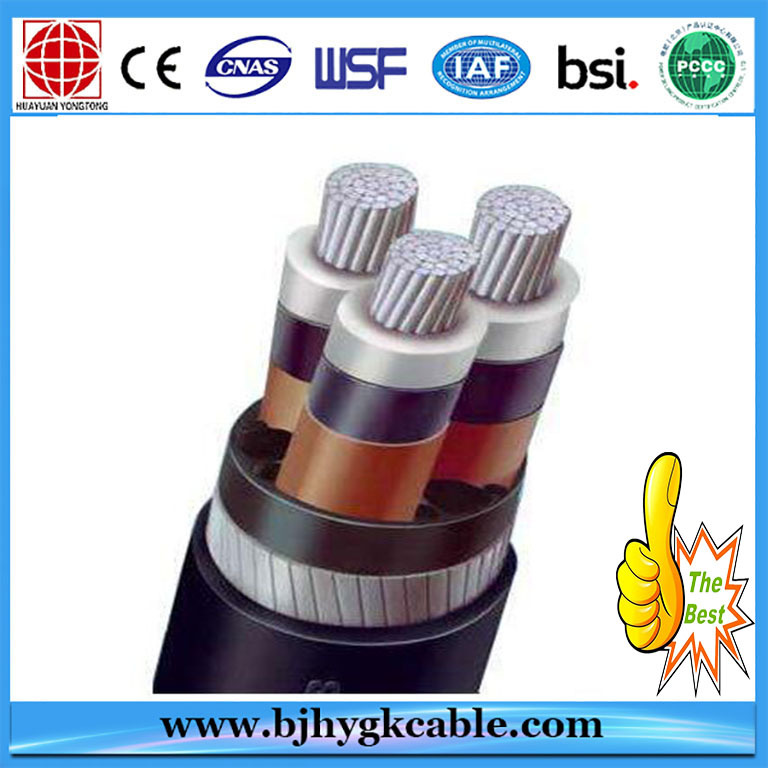 The 600V Secondary UD Triplex Cable is mainly used for secondary distribution and underground service either direct burial or in ducts, The cable is designed for use at 600 volts or less. 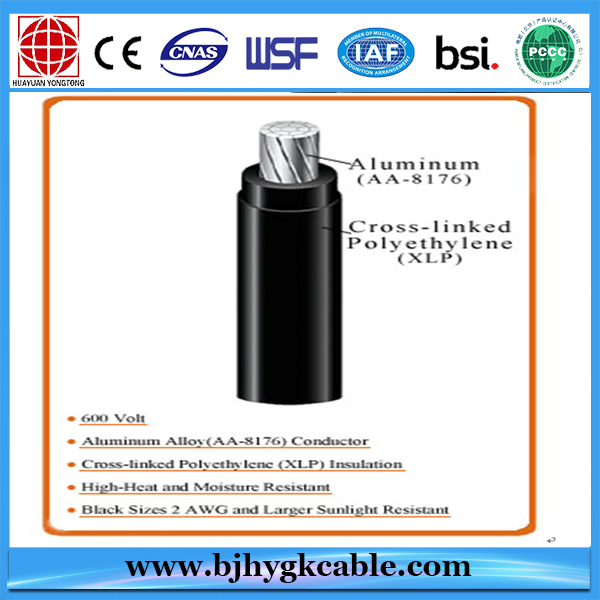 · B-231 Aluminum 1350 Conductors, Concentric-Lay-Stranded. Secondary UD triplex conductor 600V cable meets or exceeds all applicable requirements of ICEA S-105-692. · " USE-2"per UL 854 available upon request. Ampacity:90℃ conductor temperature, 20℃ ambient, RHO 90, 100% load factor for three conductor triplex with neutral caring only unbalanced load. Also available in paralleled construction. 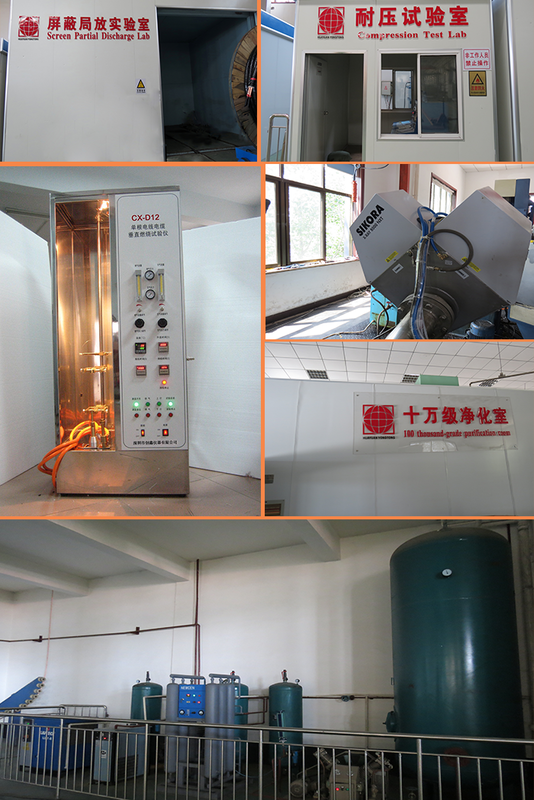 The above data is approximate and subject to normal manufacturing tolerances. Neutrals are identified with triple solid yellow stripes. Three phase conductors and one neutral conductor cabled together. 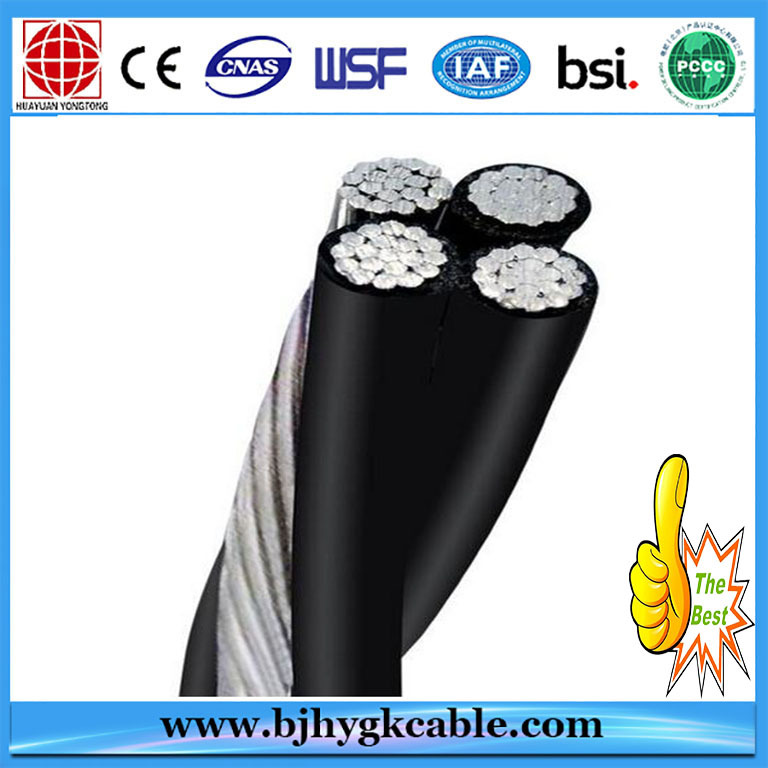 The Quadruplex 600V Secondary UD Cable is mainly used for secondary distribution and underground service either direct burial or in ducts, The cable is designed for use at 600 volts or less. · " USE-2 "per UL 854 available upon request.